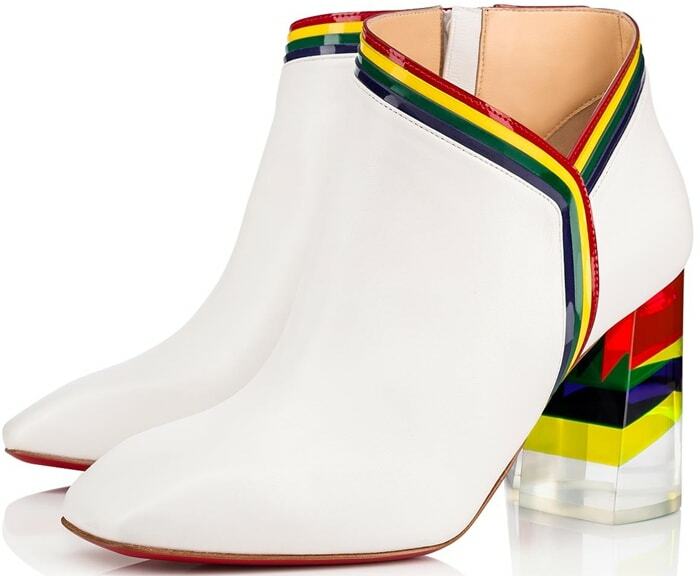 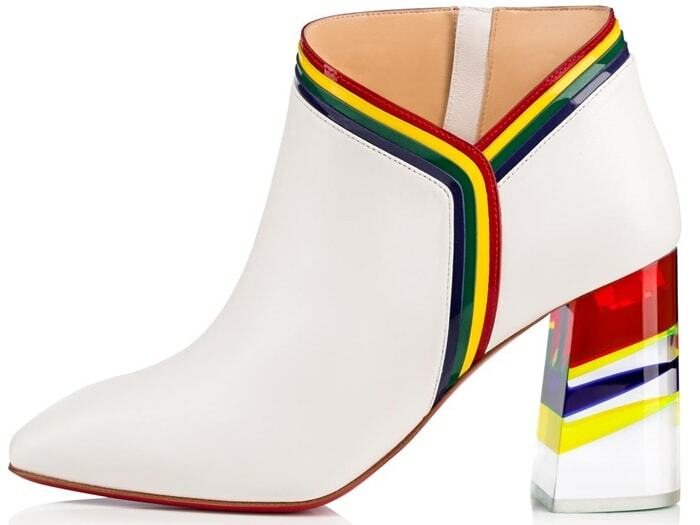 Available in white and black, this new ankle boot from Christian Louboutin features an 85mm heel designed like a prism and a black calfskin upper with a cutout on the side. 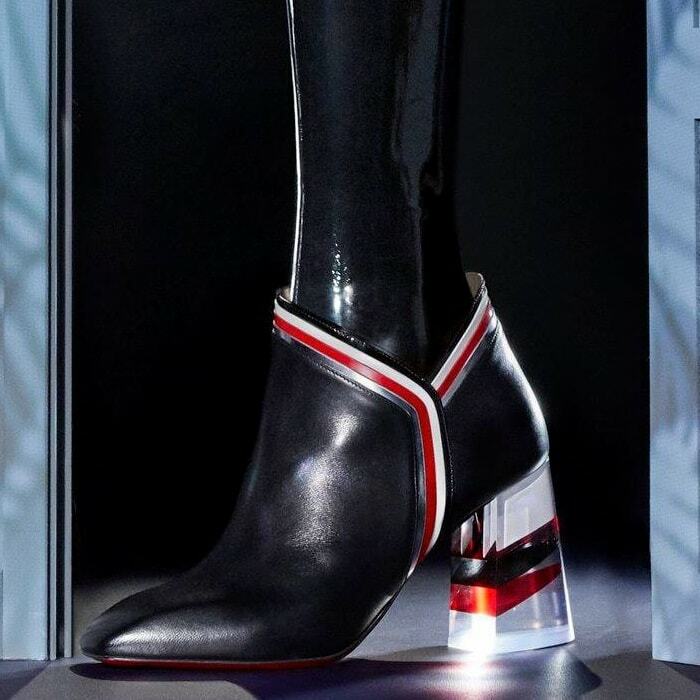 Combining modernity with retro details, they are edged with patent leather bands. 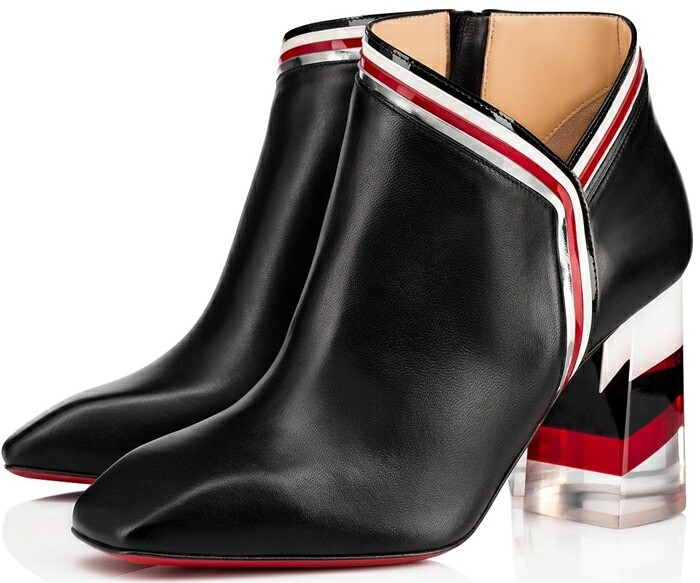 The pointed-toe shoe adjusts with a side zip.